There are many. But I’ll give you four. One, the Singapore workforce is now nearly 40% foreign imported labour vs. 16% in the US. Actually, since a good percentage of foreign workers stay and eventually get citizenship vs. very few in Singapore, the gap is effectively much larger. Two, Singapore has much tighter controls on immigration than the US. Three, Singapore’s “democracy” is structured to minimize specific-issue local dissent. Four, Singapore is a city-state with a tiny physical geography while the US consists of 50 states, DC and nearly 10 million square km. All four come into play in the following way. Since unskilled or semiskilled foreign workers come from poorer countries, wage demands are incredibly modest. Since Singapore has great control on entry and exit and on social benefits for these workers, the government can effectively maintain an unlimited supply of low wage workers by rotating them in and out of Singapore. If you are familiar with the model by Arthur Lewis, the Singapore-Lewis model is one in which wages will never rise–a dream case scenario for certain politicians. Finally, the stacking of the deck with elections of GRCs and the control of sovereign wealth money to “top up” the budget as a right of political discretion means that Singaporeans face an all or nothing proposition when voting with the PAP able to run this sort of immigration policy by combining it with all its policy platform (much like a weak candidate can be hidden in a slate of GRC candidates. The result prevents a national referendum on one issue since pressure on one issue is unlikely to topple the government. In the US, one issue often swings local, state, and federal elections. So let’s say a minimum wage with hard constraints is enacted. And let’s say efficiently enforced. The first thing you would see is a dramatic shift away from the incentive to hire unskilled and semi-skilled foreign workers and toward both automation and hiring local Singaporeans. Since Singaporean businesses cannot simply move out of state, their decision to hire labor is far more inelastic vs. that of a US business. In fact if minimum wages are enacted even with skilled workers, you would also see a substitution toward local hires (though less so the more skilled the position). Provided the minimum wage floors are not ridiculous (such as what we are seeing with the US$15/hr) in the US, the net result should be net increase in Singaporean labor and some wealth transfer from the foreign to Singaporean community. Adding other protections, such as anti-age discrimination, retraining, etc. should have net positive effects as well, from second to first order. Let me qualify the analysis above by emphasizing how important it is to get such policies right and i.e. avoid the temptation to “stick it to the man,” something one sees in the US all too frequently. Obtaining and maintaining gainful employment in the frontlines of the global economy is no mean feat. However, there are plenty of jobs in which a good many more people can live productive and dignified lives with policies that are designed to add a bit more fairness than the status quo. Finally, if done well the impact on attracting “foreign talent and large MNCs” might very well be zero. One does not locate an operation overseas based on fractions of a ROI. Let’s go extreme! Let’s take Ronald’s logic out to the fullest. Let’s max profits of Singapore Inc. How to do that? First up are permanent low cost workers, much like what the Singaporean Lewis model is attempting. But instead of limiting them to South and East Asian imports let’s go extreme and include all Singaporeans. So far so good. Next let’s perfect this. Let’s lift any ban on age discrimination. Let’s eliminate retirement benefits and leave it to employers. Easy to do. Now let’s ramp this up. Let’s eliminate the presumption of citizenship. Let’s end domestic welfare payments and use means testing to determine whether people should be permitted to stay. I like it. We now have a completely mobile workforce with no systemic obligations imposed on Singapore, Inc.
Let’s now create a business platform where Singapore, Inc provides the hub, platform, infrastructure and the rest of the world does business here. Kind of like Singapore meets EBAY. No need to get the birthrate up as the goal is to increase the mobile population as a percentage of the resident population. And where possible, outsource certain government functions to reduce the local footprint even further. And of course, you start to privatize social infrastructure that is no longer needed in this extreme model and no longer considered a social responsibility. This includes schooling. And let’s let this model run to efficiency on its own. In a generation or so you have a small, wealthy cadre running the show with an allegiance not to culture or people but to the system itself. You have plenty of individuals who leverage this platform to great wealth. You have an army of 100% temporary workers doing the dirty work to make the system work, who are paid little and have no guarantees whatsoever. And you have a mid-sized middle class who are effectively in an unstable equilibrium in what is a bimodal model. They are trying to fight to the top, but fearful of falling all the way to the bottom and unable to stop at the happy medium to chill out and enjoy their lives with long-time friends, family and neighbors in familiar neighborhoods. In this world, we have great efficiency and zero humanity. You have tremendous income equality. You have a dead culture save for whatever artificial apparati that the government might construct just to keep the wheels of commerce spinning. Finally, you have a population that if not brilliant or street smart eye employment with the elite as the premier ticket out of the inherent instability of the middle class. So when I look at this extreme world I have created, I am impressed at my handicraft. But I pause knowing that no people in their right mind would allow themselves to made irrelevant and expendable. For once that is possible, this world is actually not impossible to imagine. In reality we something very much like this in the Emirates. But there the conditions of a tiny population and a windfall of oil made it possible. But the only other country close to this is Singapore. a country with its own urban culture and a long history as a crown colony in the British Empire. Wei Koh, that is an interesting observation. But there is one difference. Compulsion is replaced by a clever use of law. With compulsion, labor is forced to give labor hours if reservation wage < offered wage. Under a “legal” approach, the search is for those with reservation wages < then the incumbent reservation wages. 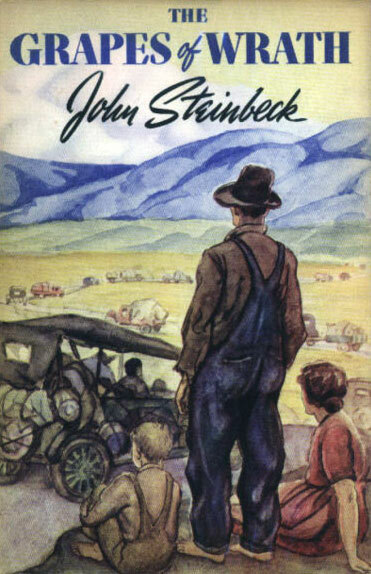 Perhaps a closer example are the Okie itinerant laborers described in the Grapes of Wrath. Each incoming wave of labor is willing to work for a lower wage than the incumbents. In equilibrium, the reservation wage is drive to delta above the survival wage. The appropriateness to my “extreme model” is with wave after desperate wave of laborers, there is (a) effectively an unlimited supply to drive the equilibrium wage to the survival minimal wage in the limit and (b) and unemployment of incumbent laborers going to 100% in the limit. This is achieved without compulsion. Also, it is achieved without any interest or incentive of improving the lot of the unlimited supply. 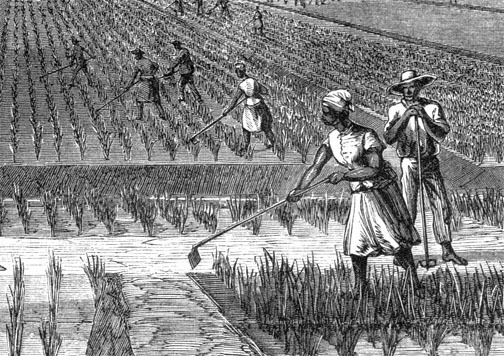 In the plantation example, there was continual risk of rebellion. If the entrants to the economy are increasingly from overseas, one can control entry and exit and demands for increased wages are met with deportation. The equilibrium wage is higher than in compulsion as overseas workers will not embark without expectations of a better wage. But the pool of labor is continually shifted towards lower wage places and places where workers are desperate for any work, the equilibrium wage gets fairly close to the compulsion equilibrium wage. Applying this model to the Emirates one can easily see who this approach works and the utter disdain locals have for imported labor. But the bargain is that the elite cadre is extended to include all major families. In Singapore, this would be impossible and certainly not instantaneous as the incumbent population is larger and more diverse. But for the lowest quartile of Singaporean, he/she must feel that something close to this model is in effect but with avenues of escape (at least now there is via schooling and what social welfare still exists). But as the Singapore population heads toward 10 million, the local population goes below 50%, and immigrants do not share the same cultural and linguistic backgrounds, the downward pressure will be severe for those less fortunate. …the idea of virtually unlimited supply of labor imports to do all menial tasks and unskilled and semiskilled labor is among the primary concerns if we were to look at the plight of the lowest income quartile of incumbent Singaporeans. So I will shift gears and look at the deployment of labor. All non-commodity, high income countries are driven by their ability to expand into high value added industries. I leave out those economies heavily dependent on oil production of the circulation of petrodollars since the economics are really quite different. I think it is also very important to filter out of conversations those economies whose particular place on the business cycle is driven by commodity prices as one would otherwise be hostage to secular factors unrelated to business models and their utilization of human capital. In the very short run, the easiest way to achieve “effective product growth,” that is output growth per dollar cost of input is to unilaterally lower input costs. And with a revolving door leading to an unlimited supply of labor, one can squeeze out more effective product growth. However, productivity growth is the growth in the economy after taking into account inputs. It is about the ability to get a given worker hour to produce more product given capital resources. For this reason, the economic literature has been focused on innovation, human capital, technology, creative clusters and knowledge externalities, etc. The story of productivity growth is really about pushing the boundaries of human potential, not about the potential of governments to squeeze out one more widget per dollar from an increasingly desperate worker. When one looks at the top businesses to work for, those companies dong exciting things in the world and using out frontiers, it is highly instructive to observe their treatment of human capital. It is incredibly supportive and flexible.It is not caring but the sake of caring but recognition that productivity growth is driven by happy, content workers who are proud of their companies and excited to work on topics with their colleagues. Such an environment is 180* different from institutions who use the cheap and completely misguided metric of effective product growth. In such a model, more widgets are squeezed out and the worker is expendable. This second approach is all too common in Singapore and in Asia and a reason why top Asian talent floods into the US. I think it is highly instructive to look at the definition of profit: Pi = Rev – Cost. Therefore ΔPi/Pi = ΔR/R – ΔC/C. Profit growth is Revenue growth less growth in costs. Squeezing the bottom line reduces ΔC/C and of course increases ΔPi/Pi . However, very few business models have been successful at lowering costs as a path way to ever increasing profits. The exceptions are those companies who can scale to large levels and improve their logistics such that they drive efficiency to great heights. Dell and UPS are obvious examples. Charles Schwab as well. But note this is an institutional or technological level. It is not about about employing a plantation model, paying peanuts and treating workers as inhuman fodder. These companies have good to great reputations as places to work. For the majority of private companies who are doing exciting things, the focus is on revenue growth and creativity. All of silicon Valley is built on this model, not on Gestapo tactics to make sure each worker is keeping costs down. Companies whose business models have devoted to where they obsess with costs rather than revenue growth are on their way out, with very few exceptions. The same applies for countries. Singapore has pushed into new areas for itself, private banking and gambling– and reaped windfalls. Once these are fully built into expectations, productivity growth will come from growth in revenue driven by innovation, novelty and the things that are fantastic, weird, unconventional, etc. With these things, the bottom line need not be scrutinized to such an extent or it will choke off revenue growth. Finally, that is left for those obsessed with reducing ΔC/C? Aside from those who scale or use technology to replace the human element, rhese are industries where there is great uniformity, such as fastfood and those in the retail trenches. Here strict rules are followed and the output is the same. I would argue that these industries try to move up their kind of value chain, from small scale to large scale and from large labor inputs to small. McDonalds is one such example. LKY was explicit about not wanting Singapore to be a leader but that it will do best by essentially drafting off of the leaders. It is a no-man’s land with success wholly dependent on the leaders. And in a world of alternatives, is it not time for Singapore to take its place among the first world and eschew this older growth model and instead shift its focus and spirit toward innovation? It has a good model to follow: Taiwan. And its unique vantage point allows it see see thousands of small scale operations in SE Asian that have succeeded to drive success via Asian creativity, of which there is no limit. Have Singaporeans Woken Up to the Implications of the ASEAN Agreement on Free Movement of Labour?